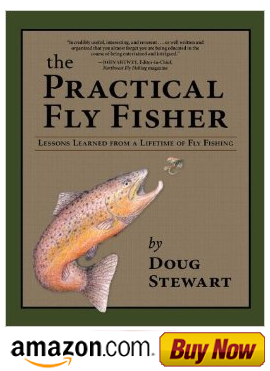 In order to effectively dead drift a nymph, attach a weighted fly or a splitshot on the leader. Roll casting and line mending are the best means of presentation, and a strike indicator can aid in hooking fish. Floating and sinking lines can be used, but floating lines are easier to control. The common method of dead drifting is to cast the line upstream, mend it and let the fly drift naturally down with the current. If there is any hesitation, slight twitch or pull, lift the line at once. If you hesitate, a fish can quickly eject the offering. A more subtle way of monitoring the line movement without the use of a strike indicator is almost like having ESP. This method can be a natural talent or learned experience, but you can become sensitive to a feeling of the line tightening. This may indicate a fish taking the fly. 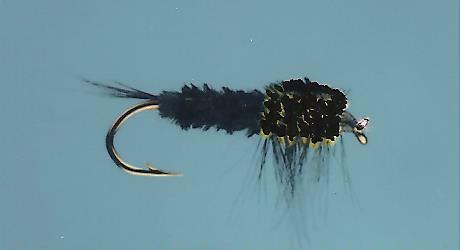 Nymphs such as Stoneflies require faster water flows, like riffles, where they are often dislodged and float helplessly downriver. They are also vulnerable when they begin to emerge, so don't forget to fish close to the bank.